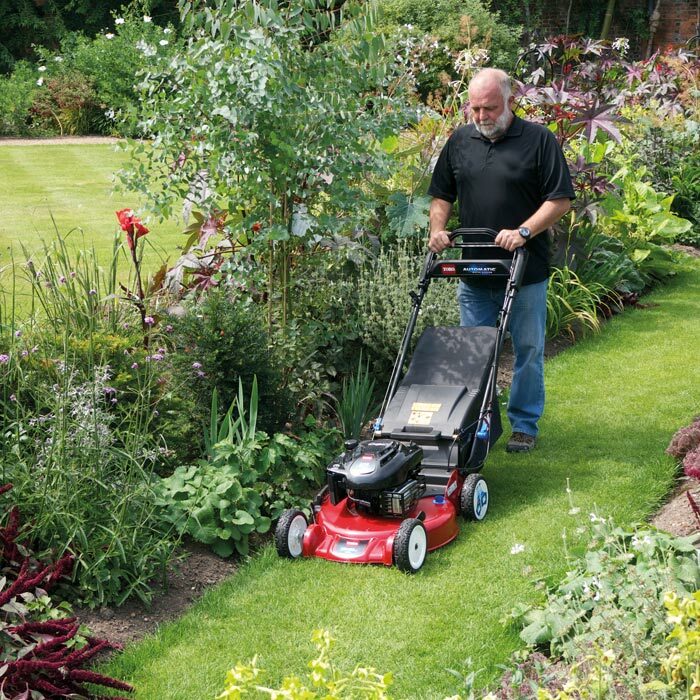 Offering great value and performance, Toro recycling mowers have been developed to reduce garden waste through "Recycling" technology. Recycling helps maintain a healthy and green lawn by chopping the grass clippings into a fine mulch and then returning them back to the lawn. Here they rapidly decompose, putting nutrients back into the soil, helping to keep your lawn looking lush all through the summer. 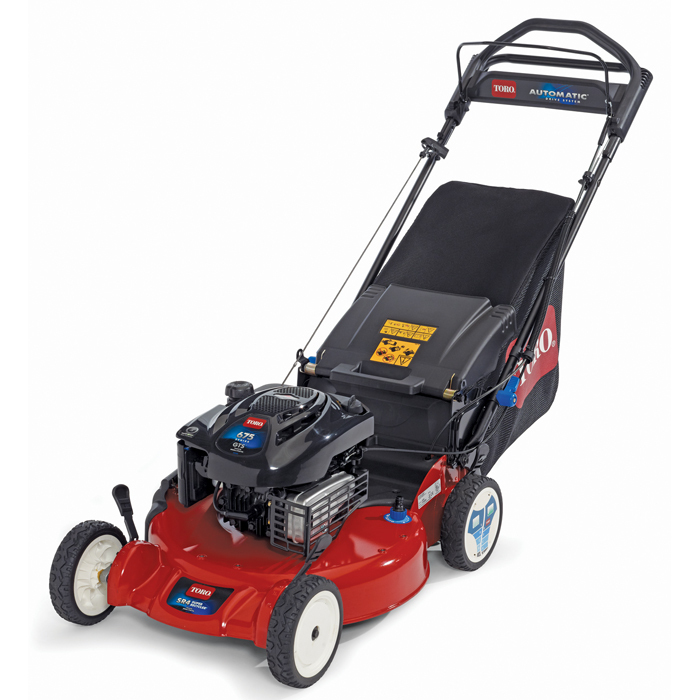 Super Recycler mowers are Toro's best residential recycling mowers. The durable cast aluminium cutting deck, combined with strategically placed kickers, provides the best quality of cut and mulching performance. They are built to last, with a full 5 year warranty for total peace of mind. Durable Aluminium Deck - The Die-cast deck is lightweight and corrosion resistant. Precision casting aslo produces outstanding qualilty of cut for aproved performance. Recycle-On-Demand - Just a simple move of a lever changes the mower from grass collection to recycling mode. 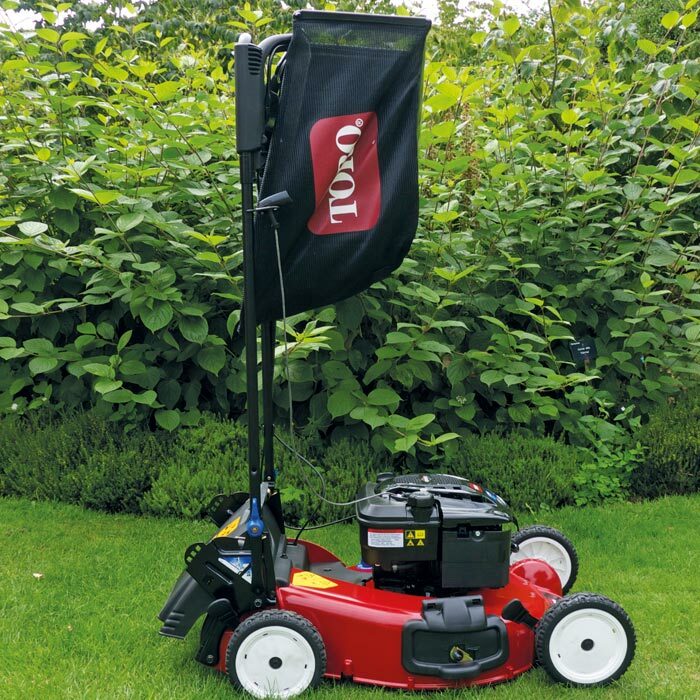 AutoMatic Drive System - This intelligent drive-technology allows you to work at your own pace ­ the mower is self propelled but automatically moves as quickly or as slowly as you do, continually adapting to your chosen walking speed, even on slopes. Patented Toro Recycler Cutting System - Recycling ­is good for your lawn and good for the environment. The patented design of the cutting chamber and blade repeatedly chops the grass cuttings into tiny pieces and forces them back into the turf where they decompose quickly and provide nutrients and moisture to the soil. Recycling grass clippings or mulching as it’s also known instead of collecting them saves you time, money and effort and is healthier for the planet. Cast Aluminium Cutting Deck - Durable, rust-free cast aluminium cutting deck converts from mulching, side discharging, or rear bagging without tools. Compact Storage - It’s easily foldable; with compact dimensions for storage or transport. Single-Point Height of Cut - Select the desired height of cut in one easy move.